More than 60 students from local high schools in the region visited the University of Maine at Presque Isle recently for a day filled with learning about everything from drawing and clay to photography and sculpture. 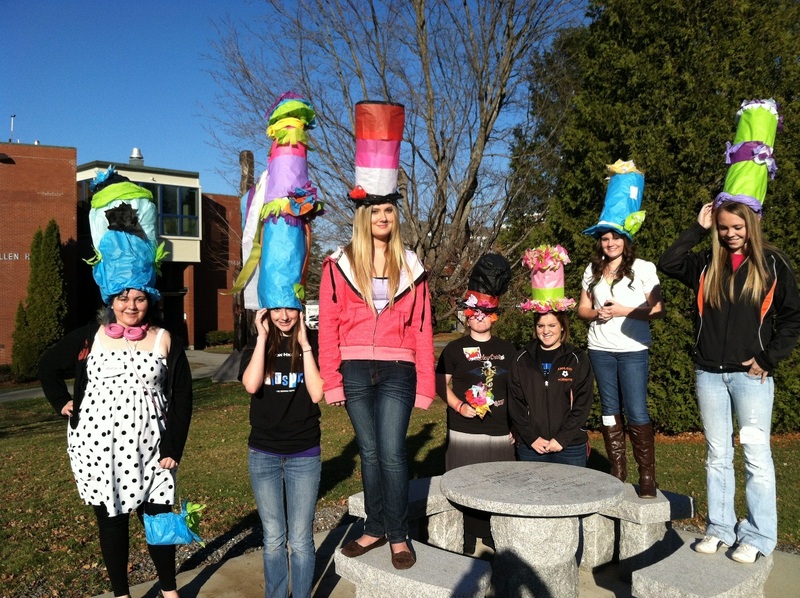 The event, Visual Arts Day, was organized by UMPI’s Art Education program for Aroostook Regional Gifted and Talented [ARGT] and this was the first time the art program was opened to high schoolers. Students spent the day Nov. 16 on campus taking part in hands-on art workshops in the Pullen Hall Art Room and the Ceramics Lab. Students also had the opportunity to further experience the campus environment, enjoying lunch in the University’s dining hall. Event organizer Heather Sincavage, UMPI Assistant Professor of Art, said the day included an illustration workshop led by UMPI Art student Karrie Brawn, a ceramics workshop by UMPI Assistant Professor of Art Hyrum Benson, a sculpture workshop with Carleton Project teacher and UMPI alumna Heather Nunez, and a photography collage workshop with UMPI alumna Bryanne Thomas. During Brawn’s workshop, Illustration and Storyboarding, students used drawing methods, mixed media techniques, and found materials to develop a storyboard. This task involved manipulating various materials, helping students understand the elements involved in creating images from given text. In Benson’s clay workshop, An Introduction to Using the Pottery Wheel, students explored making hand thrown pottery through various techniques. Students were encouraged to get muddy and create their own mug or vase to take home and show off. 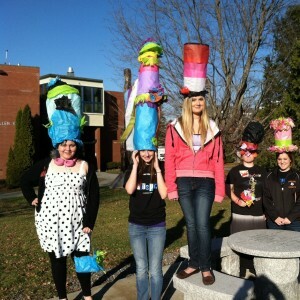 Nunez’s workshop, The Mad Hatter’s Tea Party, encouraged students to build hat “sculptures” with chicken wire and various other materials to impress their friends and family. The sculptures, which were created over tea and biscuits, challenged students to think in new and creative ways. Students also had a chance to take part in a Photography Collage Workshop led by Thomas. In this workshop, students were given a black and white photo and were taught to manipulate it through various techniques resulting in unique creations. There will be another Visual Arts Day in Spring 2013 especially for ARGT middle school students in the region. For more information, contact Sincavage at 768-9442 or heather.sincavage@maine.edu.